Adventure Playground at National Coal Mining Museum for England01924 844566work Children's PlaygroundAn exciting new addition to the National Coal Mining Museum, their brand new Adventure Playground is open with play equipment for all ages to enjoy. The centrepiece of the playground is the exciting Zip Wire which is modelled on a pit head wheel. Have your little ones run off a little bit of steam after your trip visiting the museum and venturing underground! 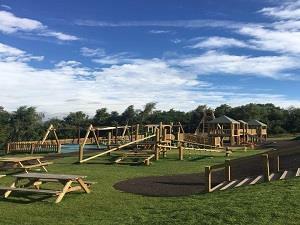 An exciting new addition to the National Coal Mining Museum, their brand new Adventure Playground is open with play equipment for all ages to enjoy.